***NOTE*** IF YOU HAVE ALREADY CHOSEN AN ADAPTER OPTION IN THE DROPDOWN MENU ON THE R9 FRONT SITE YOU DO NOT NEED TO RESELECT HERE. DOING SO WILL ADD ADDITIONAL ADAPTERS TO YOUR ORDER. We cannot ship Muzzlecomps to New York State. 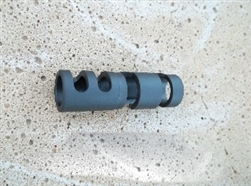 Muzzle Comp Adapter with plain face used to fit Sub 9 Front Sight Body. 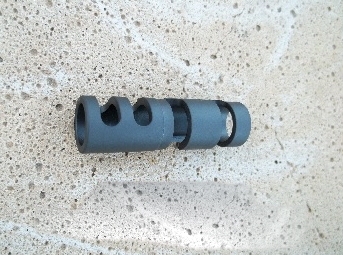 Adapters CNC Machined From 1144 Stress Relieved And Parkerized. Length 2.440" & .74" O.D.